Jarrow Formulas Beta Glucan is made from a special ß1,3 / ß1,6 glucan extract of the Baker's yeast (Saccharomyces cerevisiae) cell walls. 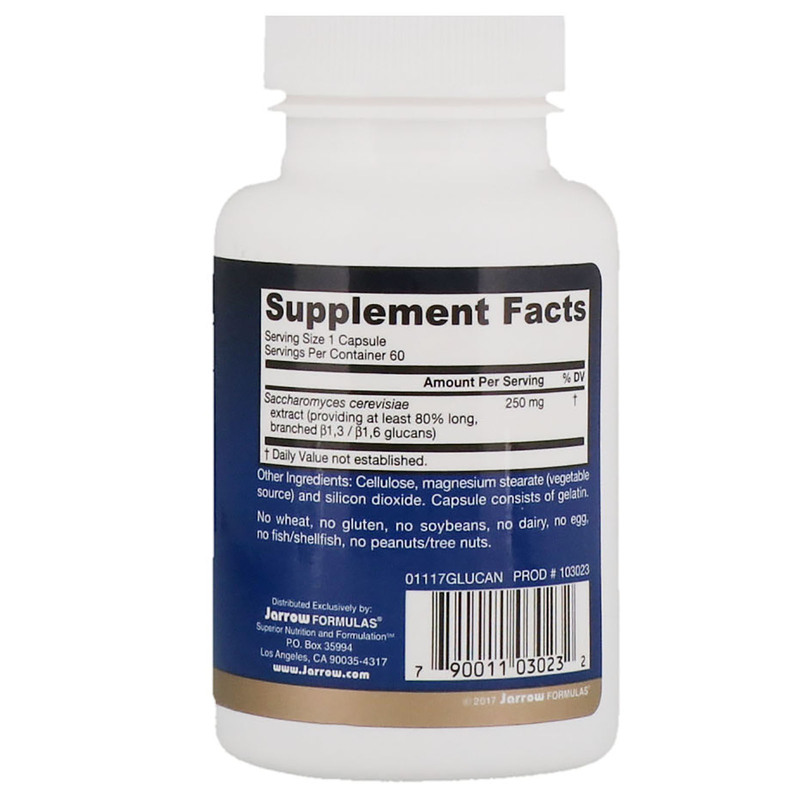 This product supports immune function by stimulation of NK cells, granulocytes, monocytes, and macrophages. After oral consumption, beta glucans are delivered to the bone marrow granulocytes by macrophages traveling through lymphatic circulation. 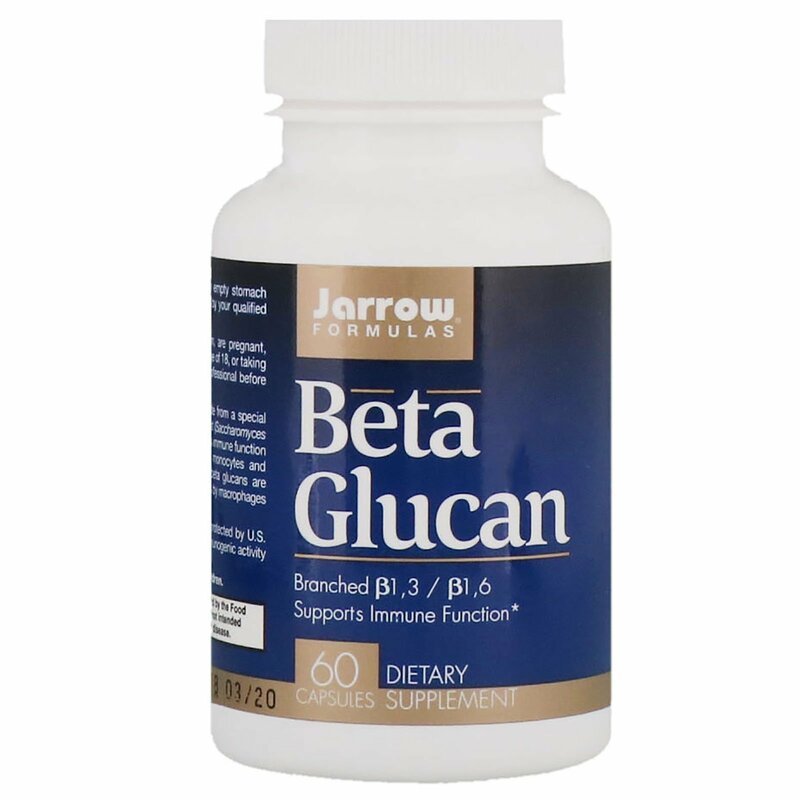 This patented Beta Glucan preparation, protected by U.S. patent # 5,576,015, has demonstrated immunogenic activity in clinical trials. Usage: Take 1 capsule per day on an empty stomach with a full glass of water or as directed by your qualified healthcare professional.